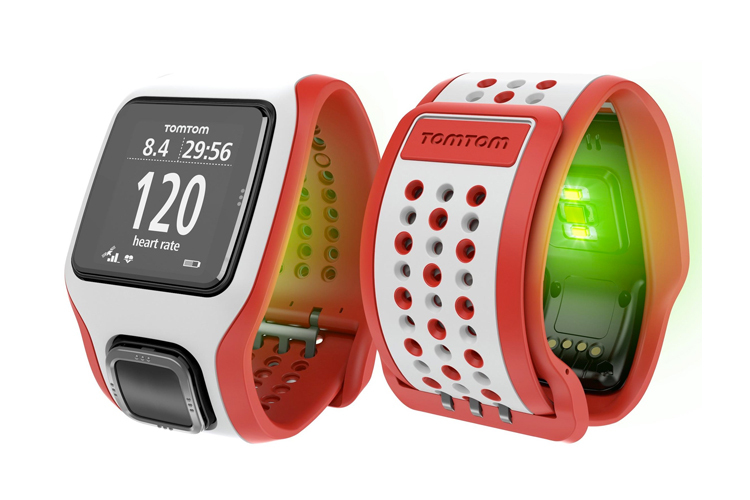 Introducing the Tom Tom Runner Cardio GPS Watch | LEADER OF THE TRACK. Are you looking for a GPS Watch which tracks your run as well as your heart rate? 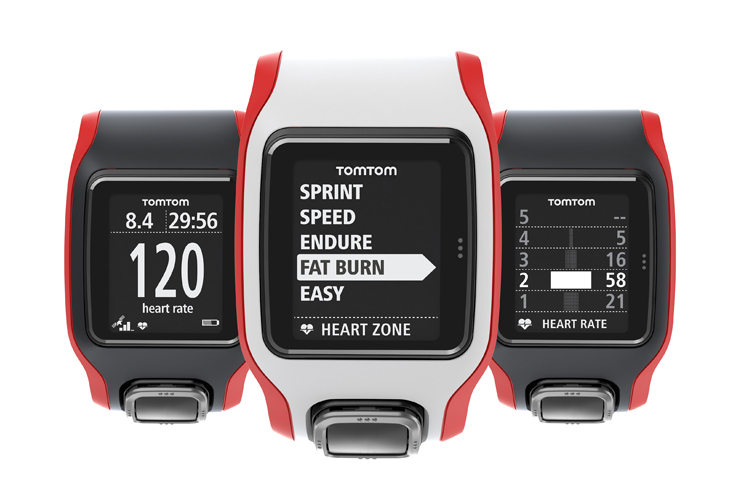 Well the TomTom Runner Cardio is the watch for you! The watch is a simple device for people who want to track their running workouts. It’s pretty rare to find a GPS with a built in heart rate monitor so that is what gives this GPS Watch over it’s competitors. In addition to heart rate, the device measures the distance, time, pace, speed and calories burned while you run, and displays them on a large, easy-to-read screen. It also displays the time of day. The best feature of the Runner Cardio is the built-in heart-rate monitor which makes tracking your heart rate easier than wearing a chest strap. The device’s buttons make it very easy to navigate yourself through the display as well as track your runs in real time. The watch also comes in a range of sophisticated, contrasting colours including white and black, and the strap comes in red, black, green and grey. The design is somewhat masculine but at the same time contemporary with its thick strap and organic design. Accessing and activating the watch’s tracking features was user friendly and i didn’t even need to read the user manual to find out how to connect the GPS as this was an automatic process. With many of the GPS watches, it’s really hard to pick up a signal but i found with the TomTom it was almost automatic when picking up the signal. This will come in handy when competing because sometimes it’s stressful waiting at the start line and the watch doesn’t pick up the signal. For all you tread mill runners you can also use the watch without the GPS feature on a treadmill, but the distance tracking may not be as accurate. The Runner Cardio can be used for swimming as well which is proof this watch is versatile and let’s face it- As runners we all love to do a bit of cross-training every now and again. 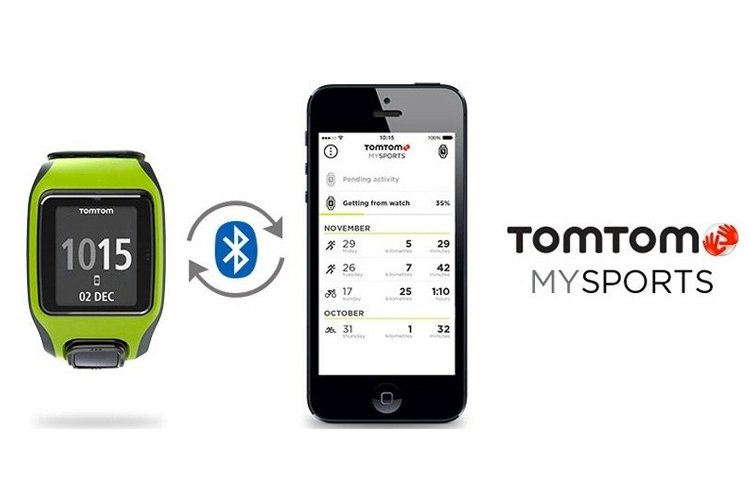 Definitely keep an eye out for the Tom Tom Runner Cardio GPS Watch. it’s the perfect watch for the social runner all the way up to the competitive runner. Be sure to follow TomTom on Instagram @tomtomglobal and if you would like to purchase the Tom Tom Runner Cardio GPS Watch click here. Also like Tom Tom’s Facebook page for all the latest information on all their navigational gadgets! Leader of the Track is a huge fan of the Tom Tom Runner Cardio GPS Watch and we can’t wait for our readers to view our runs and see our results based upon the data. ← INTRODUCING THE ICEBUG ACCELERITAS4 RB9X TRAIL SHOES.